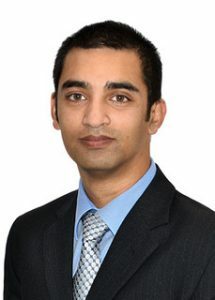 Indraveer practices principally in commercial and employment law, and in the judicial review of migration decisions. He has appeared in a wide variety of Courts and Tribunals at both trial and appellate level, and primarily appears in the Federal Courts, the District Court of NSW, and the NSW Civil and Administrative Tribunal. He was junior counsel assisting the Royal Commission into the Protection and Detention of Children in the Northern Territory in 2017 and has also appeared for the Medical Council of New South Wales in the exercise of NCAT’s protective jurisdiction under the Health Practitioner Regulation National Law (NSW). He has a keen interest on the fetters of executive power, and regularly appears in judicial review applications in the Federal Circuit and Federal Courts in respect of visa cancellations on character, as well as asylum seeker refusals. He regularly assists solicitors with legal matters that interface with migration issues – in the criminal, employment and family law jurisdictions. He accepts briefs in all areas of law and from inhouse counsel. He was, prior to coming to the bar, the principal of the HIV/AIDS Legal Centre where his principal areas of practice were employment, insurance, wills and estates and migration. Official Trustee in Bankruptcy & Galanis and Anor  FamCAFC 20 (led by Patricia Lowson) – Matrimonial Cause – Application to Set Aside Financial Agreement by Trustee in Bankruptcy – Jurisdiction.